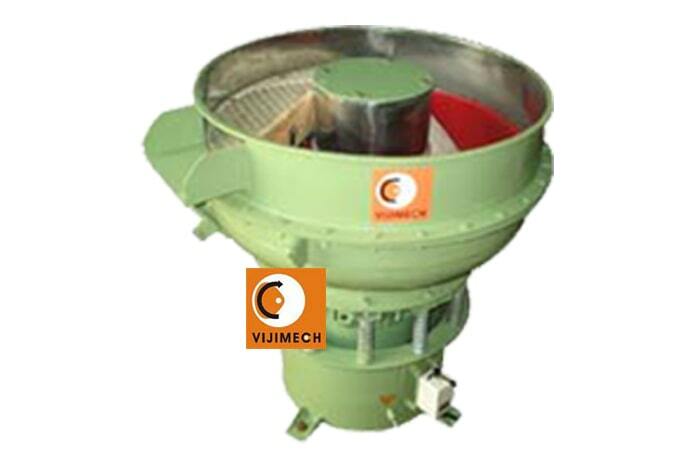 VIJIMECH Auto discharge finishing machine is a bowl type centrifugal finishing machine. The machine bowl is loaded with suitable media and the components be processed. The mutual rubbing action takes place inside the chamber due to the gyratory vibrations. In auto discharge machines there is in-built part-media separation arrangement. At the end of the process machine flap is lowered into the bowl automatically & part media mixture is comes over to the separation sheet. The media will fall down in the bowl & parts come out of machine.